Relying entirely on an attention mechanism, the Transformer introduced by Vaswani et al. (2017) achieves state-of-the-art results for machine translation. 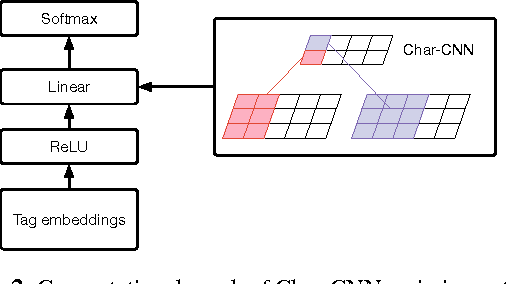 In contrast to recurrent and convolutional neural networks, it does not explicitly model relative or absolute position information in its structure. Instead, it requires adding representations of absolute positions to its inputs. In this work we present an alternative approach, extending the self-attention mechanism to efficiently consider representations of the relative positions, or distances between sequence elements. 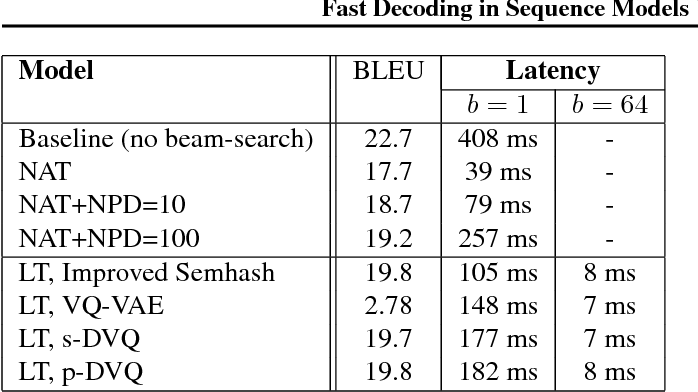 On the WMT 2014 English-to-German and English-to-French translation tasks, this approach yields improvements of 1.3 BLEU and 0.3 BLEU over absolute position representations, respectively. Notably, we observe that combining relative and absolute position representations yields no further improvement in translation quality. We describe an efficient implementation of our method and cast it as an instance of relation-aware self-attention mechanisms that can generalize to arbitrary graph-labeled inputs. Music relies heavily on repetition to build structure and meaning. Self-reference occurs on multiple timescales, from motifs to phrases to reusing of entire sections of music, such as in pieces with ABA structure. The Transformer (Vaswani et al., 2017), a sequence model based on self-attention, has achieved compelling results in many generation tasks that require maintaining long-range coherence. This suggests that self-attention might also be well-suited to modeling music. In musical composition and performance, however, relative timing is critically important. 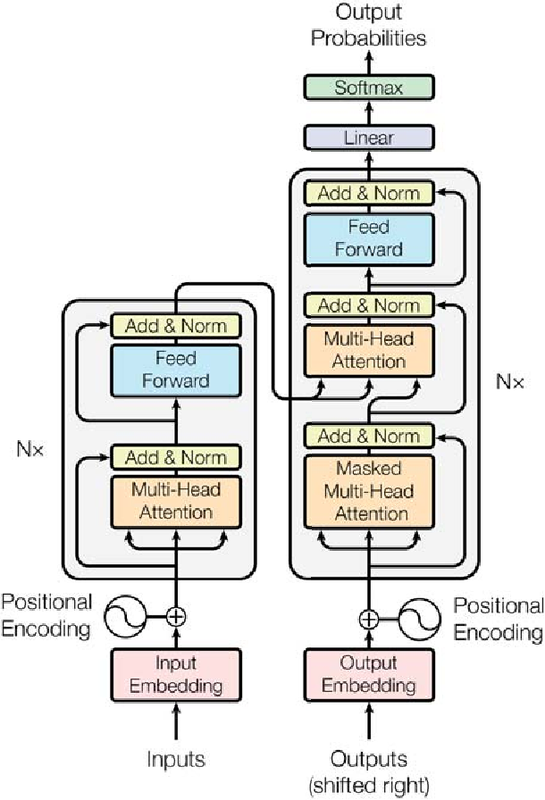 Existing approaches for representing relative positional information in the Transformer modulate attention based on pairwise distance (Shaw et al., 2018). This is impractical for long sequences such as musical compositions since their memory complexity is quadratic in the sequence length. We propose an algorithm that reduces the intermediate memory requirements to linear in the sequence length. This enables us to demonstrate that a Transformer with our modified relative attention mechanism can generate minute-long (thousands of steps) compositions with compelling structure, generate continuations that coherently elaborate on a given motif, and in a seq2seq setup generate accompaniments conditioned on melodies. We evaluate the Transformer with our relative attention mechanism on two datasets, JSB Chorales and Piano-e-competition, and obtain state-of-the-art results on the latter. * Rewrote many sections to clarify the work, and extended relative attention to the local case. 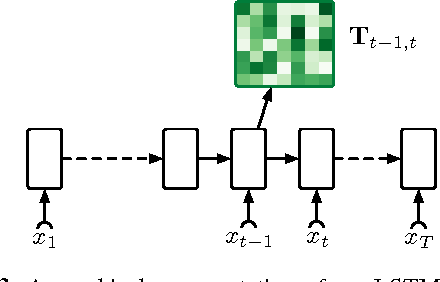 Previous title is "An Improved Relative Self-Attention Mechanism for Transformer with Application to Music Generation"
Deep neural networks with discrete latent variables offer the promise of better symbolic reasoning, and learning abstractions that are more useful to new tasks. There has been a surge in interest in discrete latent variable models, however, despite several recent improvements, the training of discrete latent variable models has remained challenging and their performance has mostly failed to match their continuous counterparts. Recent work on vector quantized autoencoders (VQ-VAE) has made substantial progress in this direction, with its perplexity almost matching that of a VAE on datasets such as CIFAR-10. In this work, we investigate an alternate training technique for VQ-VAE, inspired by its connection to the Expectation Maximization (EM) algorithm. 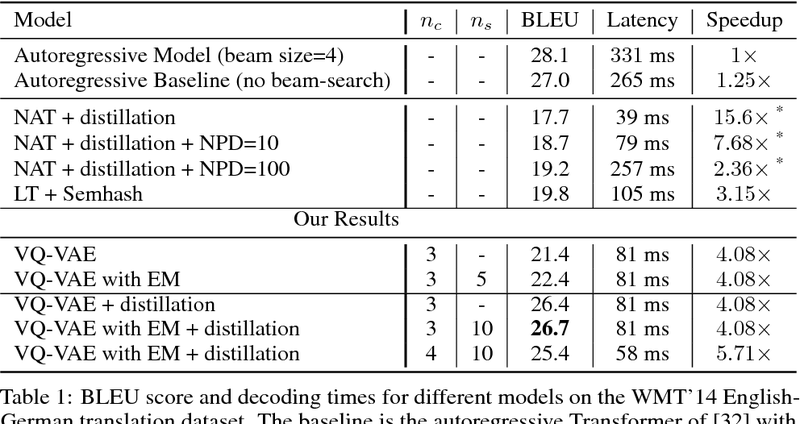 Training the discrete bottleneck with EM helps us achieve better image generation results on CIFAR-10, and together with knowledge distillation, allows us to develop a non-autoregressive machine translation model whose accuracy almost matches a strong greedy autoregressive baseline Transformer, while being 3.3 times faster at inference. In this work, we present the first results for neuralizing an Unsupervised Hidden Markov Model. We evaluate our approach on tag in- duction. Our approach outperforms existing generative models and is competitive with the state-of-the-art though with a simpler model easily extended to include additional context. 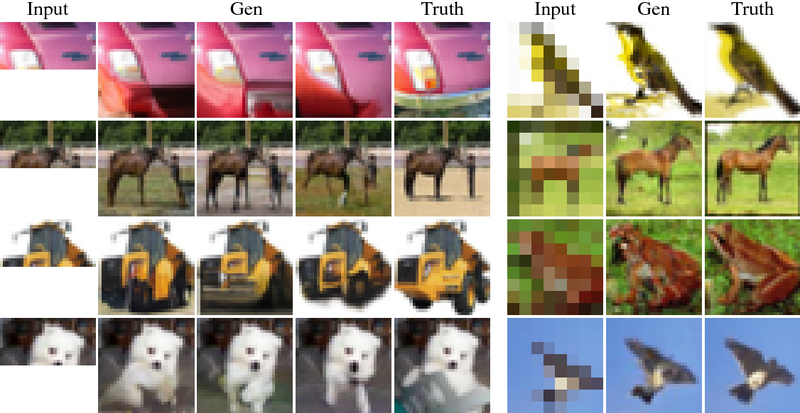 Image generation has been successfully cast as an autoregressive sequence generation or transformation problem. Recent work has shown that self-attention is an effective way of modeling textual sequences. In this work, we generalize a recently proposed model architecture based on self-attention, the Transformer, to a sequence modeling formulation of image generation with a tractable likelihood. By restricting the self-attention mechanism to attend to local neighborhoods we significantly increase the size of images the model can process in practice, despite maintaining significantly larger receptive fields per layer than typical convolutional neural networks. While conceptually simple, our generative models significantly outperform the current state of the art in image generation on ImageNet, improving the best published negative log-likelihood on ImageNet from 3.83 to 3.77. We also present results on image super-resolution with a large magnification ratio, applying an encoder-decoder configuration of our architecture. In a human evaluation study, we find that images generated by our super-resolution model fool human observers three times more often than the previous state of the art. 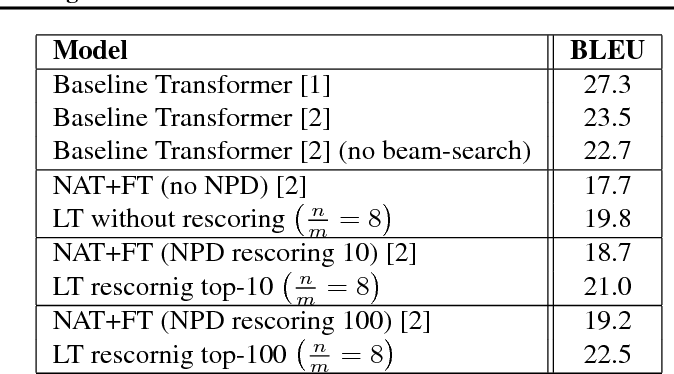 Autoregressive sequence models based on deep neural networks, such as RNNs, Wavenet and the Transformer attain state-of-the-art results on many tasks. However, they are difficult to parallelize and are thus slow at processing long sequences. RNNs lack parallelism both during training and decoding, while architectures like WaveNet and Transformer are much more parallelizable during training, yet still operate sequentially during decoding. 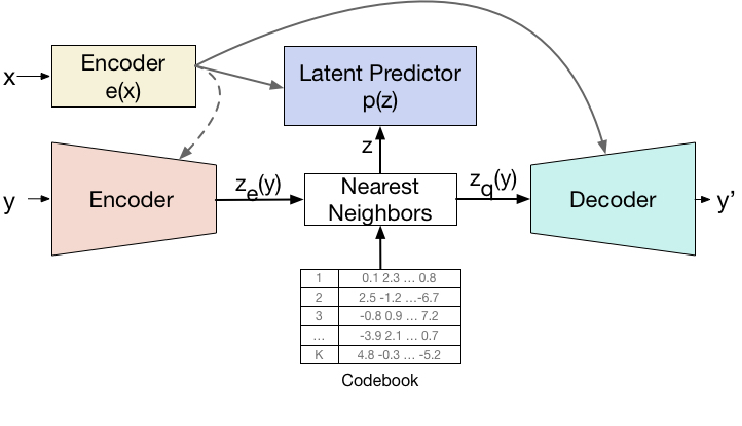 Inspired by [arxiv:1711.00937], we present a method to extend sequence models using discrete latent variables that makes decoding much more parallelizable. We first auto-encode the target sequence into a shorter sequence of discrete latent variables, which at inference time is generated autoregressively, and finally decode the output sequence from this shorter latent sequence in parallel. To this end, we introduce a novel method for constructing a sequence of discrete latent variables and compare it with previously introduced methods. 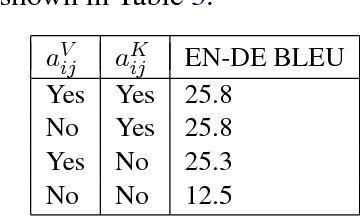 Finally, we evaluate our model end-to-end on the task of neural machine translation, where it is an order of magnitude faster at decoding than comparable autoregressive models. 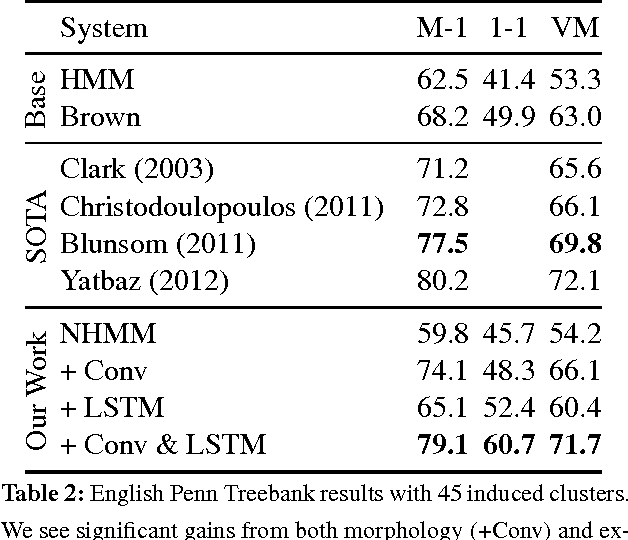 While lower in BLEU than purely autoregressive models, our model achieves higher scores than previously proposed non-autoregressive translation models. Deep learning yields great results across many fields, from speech recognition, image classification, to translation. But for each problem, getting a deep model to work well involves research into the architecture and a long period of tuning. We present a single model that yields good results on a number of problems spanning multiple domains. 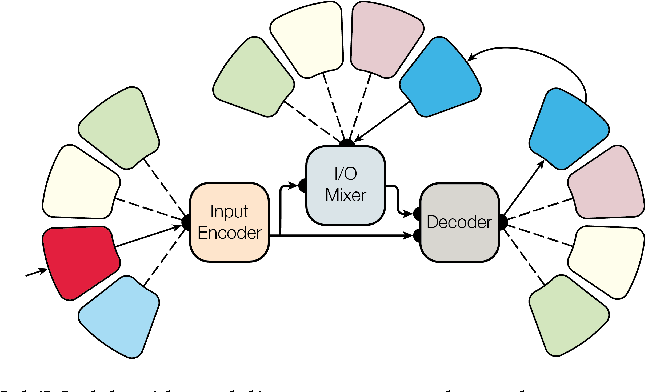 In particular, this single model is trained concurrently on ImageNet, multiple translation tasks, image captioning (COCO dataset), a speech recognition corpus, and an English parsing task. Our model architecture incorporates building blocks from multiple domains. 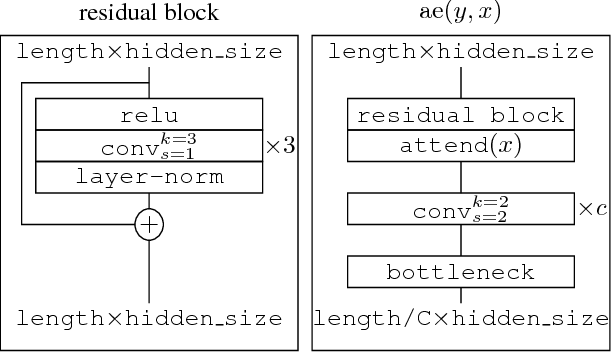 It contains convolutional layers, an attention mechanism, and sparsely-gated layers. Each of these computational blocks is crucial for a subset of the tasks we train on. Interestingly, even if a block is not crucial for a task, we observe that adding it never hurts performance and in most cases improves it on all tasks. We also show that tasks with less data benefit largely from joint training with other tasks, while performance on large tasks degrades only slightly if at all. 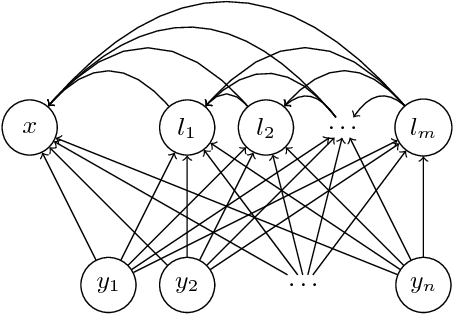 The dominant sequence transduction models are based on complex recurrent or convolutional neural networks in an encoder-decoder configuration. The best performing models also connect the encoder and decoder through an attention mechanism. 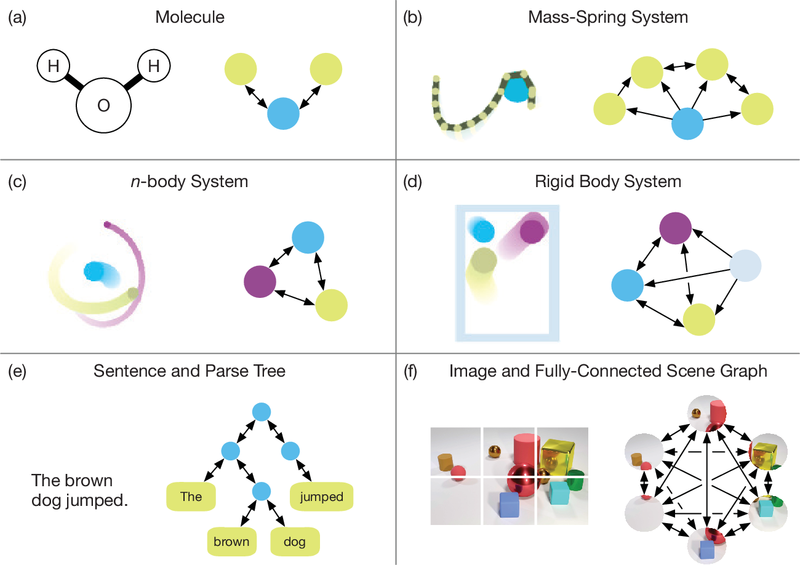 We propose a new simple network architecture, the Transformer, based solely on attention mechanisms, dispensing with recurrence and convolutions entirely. Experiments on two machine translation tasks show these models to be superior in quality while being more parallelizable and requiring significantly less time to train. Our model achieves 28.4 BLEU on the WMT 2014 English-to-German translation task, improving over the existing best results, including ensembles by over 2 BLEU. 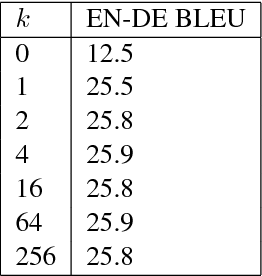 On the WMT 2014 English-to-French translation task, our model establishes a new single-model state-of-the-art BLEU score of 41.8 after training for 3.5 days on eight GPUs, a small fraction of the training costs of the best models from the literature. We show that the Transformer generalizes well to other tasks by applying it successfully to English constituency parsing both with large and limited training data. Batch-splitting (data-parallelism) is the dominant distributed Deep Neural Network (DNN) training strategy, due to its universal applicability and its amenability to Single-Program-Multiple-Data (SPMD) programming. However, batch-splitting suffers from problems including the inability to train very large models (due to memory constraints), high latency, and inefficiency at small batch sizes. All of these can be solved by more general distribution strategies (model-parallelism). Unfortunately, efficient model-parallel algorithms tend to be complicated to discover, describe, and to implement, particularly on large clusters. We introduce Mesh-TensorFlow, a language for specifying a general class of distributed tensor computations. Where data-parallelism can be viewed as splitting tensors and operations along the "batch" dimension, in Mesh-TensorFlow, the user can specify any tensor-dimensions to be split across any dimensions of a multi-dimensional mesh of processors. 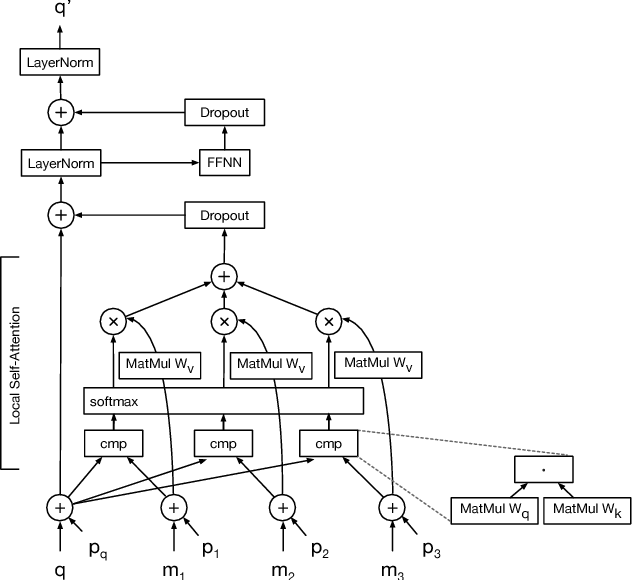 A Mesh-TensorFlow graph compiles into a SPMD program consisting of parallel operations coupled with collective communication primitives such as Allreduce. We use Mesh-TensorFlow to implement an efficient data-parallel, model-parallel version of the Transformer sequence-to-sequence model. Using TPU meshes of up to 512 cores, we train Transformer models with up to 5 billion parameters, surpassing state of the art results on WMT'14 English-to-French translation task and the one-billion-word language modeling benchmark. Mesh-Tensorflow is available at https://github.com/tensorflow/mesh .